If you have no idea how much you spent on food, transportation or online shopping last year, you're not alone: Only one in three Americans track their expenses. If you're among the majority, it may be time to look at where your money is going and how much of it is leaving your pocket. Chances are, it's more than you may think. 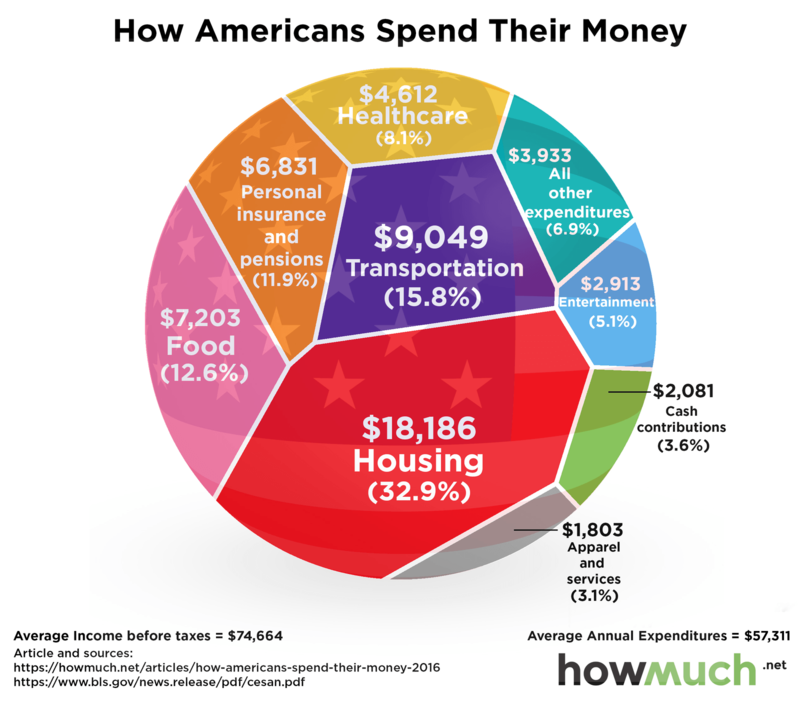 To give you a point of reference, cost information site Howmuch.net created a chart that breaks down how much the typical American making $75,000 per year spends on various expenses. All data comes from the Bureau of Labor Statistics (BLS). How do your spending habits compare? Not surprisingly, the largest expenses are housing, transportation and food. The typical American spends 61.3 percent of their annual income on these three categories. Keeping "the big three" as low as possible can result in massive savings. It helped early retirees Justin and Kaisorn McCurry save up to 70 percent of their income and build a $1 million portfolio before age 40. The McCurry's aren't the only supersavers who focus on keeping their big expenses at bay. "The Money Wizard," a financial blogger who banked $150,000 in savings by age 26 and is on track to retire before 40, says a key to his high savings rate is keeping fixed costs as low as possible. "If you look at my spending compared to most people, the two main areas I save the most on are rent and car payments," says "The Money Wizard," who keeps his fixed costs at or below $1,000 a month. "I drive a 13-year-old truck that's completely paid off and I split rent with my girlfriend in Minneapolis." Besides keeping the big three in check, read up on other strategies to save big, from real people who bank half their income.